Charcoal briquetting plant includes four main machines: crushing machine, drying machine, briquetting machine and carbonization furnace. If the size of raw materials is more than 12mm, they need to be crushed into small particles. The quality of machine-made charcoal depends on semi-finished charcoal briquettes. The quality of semi-finished charcoal briquettes not only depends on briquetting machine and technology, but also depends on the moisture content of raw materials. Generally speaking, the moisture content of raw materials should be between 6% and 12%. So drying is very important is the while process. When drying, we can place the raw materials with higher moisture content in the drying yard outdoor for 1-2 days in order to evaporate the surface moisture. This can shorten drying time and reduce fuel consumption. Then we put the raw materials into drying machine until the moisture content is less than 12%. The drying temperature is about 1600C-2500C. 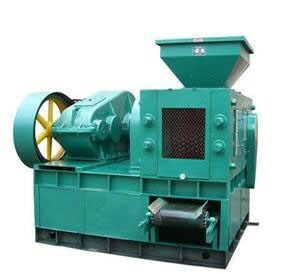 Raw material forming is made by briquetting machine. In order to make sure high density, smooth and no cracks of charcoal briquettes, we can choose different briquetting temperature according to different raw materials and their moisture content. If the moisture content of raw materials is 6%-12%, the briquetting temperature of wood dust, saw dust, wood shavings and bamboo materials, etc. can be controlled between 2600C-3200C. 4. The carbonizing process of low temperature charcoal and medium temperature charcoal usually has three periods. If you want to calcine high temperature charcoal, in addition to the above three stages outside, we have to increase quantity of heat to make the furnace temperature continues to rise to 800 ℃ ~ 1000 ℃ so that it can discharge the volatile materials remain in charcoal and improve the carbon content and graphite structure of charcoal and enhance the conductivity.